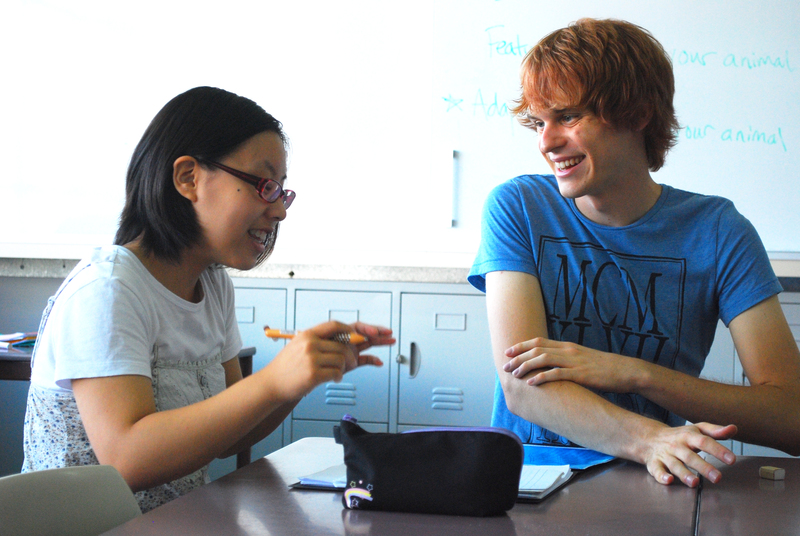 Unique to Summerbridge and key to its success is the students-teaching-students model, in which older students from around the world, aged 16 to 22, teach and administer programs to underprivileged local students in Hong Kong, aged 13 to 15. This model brings together youth from diverse cultures and backgrounds and fosters close relationships between our students and student teachers. Our students gain positive role models in their lives, as they become inspired to broaden their educational journeys through their passionate student teachers. Through this model, young people are empowered to be the initiators and beneficiaries of the educational process. Summerbridge provides an exciting English immersion learning environment that is student-centered and highly engaging both in and out of the classroom. Academic subjects are diverse, class sizes are small, and lessons are interactive with hands-on activities. Students receive individual attention and get the space to explore their passions. Outside of the classroom, students have countless opportunities to perform on stage, express their ideas, and engage in unique activities and events planned by the student teachers. Within this supportive community, students realize their vast potential to achieve and discover that learning can include the pursuit of their own dreams.